The ZTE Blade S6, a mid-range smartphone from ZTE is here. The mid-range phones are getting quite popular nowadays and companies like Huawei, Xiaomi and ZTE are trying to make a strong place in the mid-range phone competition. The ZTE Blade S6 is ZTE’s latest attempt to win the mid-range phone market. 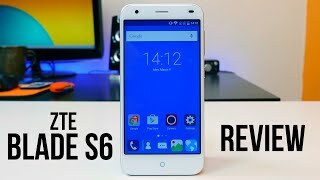 Continue reading to find out more about the ZTE Blade S6 Nigeria price, release date and whether it’s worth checking out or not. 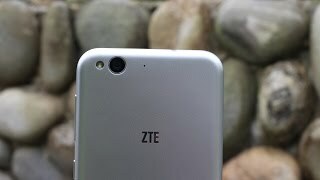 While not really unique, the ZTE Blade S6 is quite a good looking design with 7.7mm of thickness and a dimension of 144 x 70.7mm. 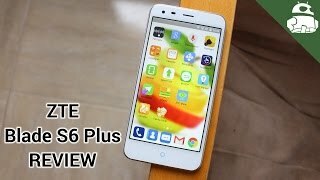 The design makes the smartphone look like a cheap version of the iPhone 6. However, if you are not familiar with the iPhone 6’s design, you are going to love it. It’s a dual SIM phone and weights 134g. If you are looking for a good looking mid-range phone, you can think about checking the ZTE Blade S6 Nigeria price. You can also check out the iPhone 6 and iPhone 6 Plus to find out the similarity in design. Most of the latest mid-range and flagship smartphones feature a big 5.0-inch screen nowadays and the ZTE Blade S6 is no different. The mid-range ZTE phone features a 5.0-inch IPS LCD screen showing 1280 x 720 resolution and 294 ppi of pixel density. It will be running Android Lollipop 5.0.1 out of the box with a touch of MiFavor 3.0 UI. While the user interface is easy to use, some users will find it too plain and simple compared to other smartphones. For those who are looking for a phone with big display can think about waiting for the ZTE Blade S6 release date Nigeria. There is also the Asus Zenfone 5 and Sony Xperia T2 Ultra that you can check out. One of the notable feature of the ZTE Blade S6 is its Qualcomm Snapdragon 615 octa-core processor which will be accompanied by 2GB of RAM. Users will get 16GB of built-in storage which can be expanded to up to 64GB using the microSD card slot. For capturing images, there is a 13-megapixel rear camera and a 5-megapixel front shooter. The rear camera includes LED flash, autofocus, face detection and 1080p video capturing support at 30fps. To power things up, there is a 2400mAh non-removable battery. The battery doesn’t sound too big for a phone with heavy specs. 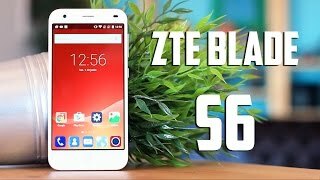 If you are looking for a mid-range phone with good specs, you can think about waiting for the ZTE Blade S6 release date Nigeria. For those who want a phone with big battery, there is the Lenovo Vibe P1 Pro with 5000mAh battery. 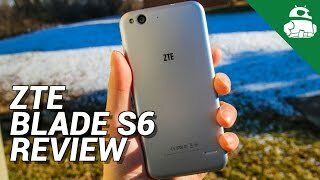 The ZTE Blade S6 is expected to show up in the market in March, 2015. As a mid-range phone, the ZTE Blade S6 Nigeria price will be around 83700 to 93500 ₦. The blade s6 Mobile Phone is manufactured by ZTE and was added around November 2016 and is part of the ZTE Blade S6 series. 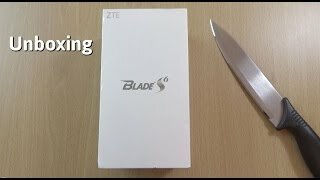 ZTE Blade S6 - Unboxing & First Look! 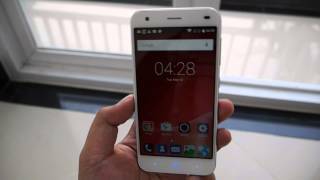 ZTE Blade S6 Review: Should you Buy it?